The Sacred Heart of Jesus is one of the most popular devotions in the Catholic Church. Since the early days of the Church, God's love has always been preached, prayed and meditated upon. The devotion spread even more quickly when St. Margaret Mary Alacoque had her visions of Jesus and more promotion came about. The first Fridays of every month are dedicated to devotion to the Sacred Heart. The Heart of Jesus burns with love and passion for all of human kind. God is love! 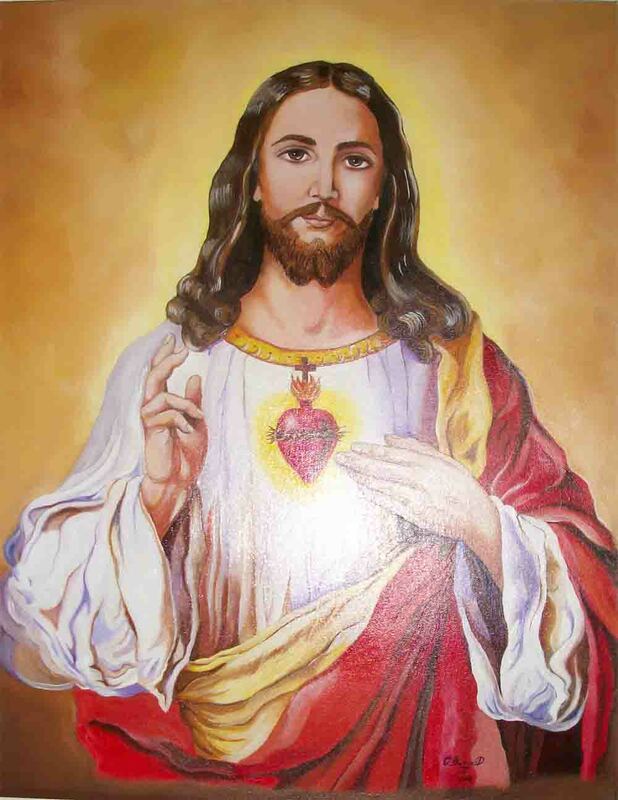 Remember, O most kind Jesus, that none who have had recourse to Your Sacred Heart, implored its assistance, or called for mercy, have ever been abandoned. Filled, and animated by this same confidence, O divine Heart, Ruler of all hearts, I fly to You, and oppressed beneath the weight of my sins, I prostrate myself before You. Despise not Your unworthy child, but grant me, I pray, an entrance into Your Sacred Heart. Sustain me in all my combats and be with me now, and at all times, but especially in the hour of my death. 0 gracious Jesus! 0 amiable Jesus! 0 loving Jesus! O Jesus, divine Savior, deign to cast a look of mercy upon Your children, who assemble in the same spirit of faith, reparation, and love, and come to deplore their own infidelities, and those of all poor sinners, their brethren. 0 Jesus! divine Savior, from whose Heart comes forth this bitter complaint, "I looked for one that would comfort me, and I found none," graciously accept the feeble consolation we offer You, and aid us so powerfully by your grace, that we may, for the time to come, shun more and more all that can displease You, and prove ourselves in everything, and everywhere, and forever Your most faithful and devoted servants. We ask it through Your Sacred Heart, O Lord, who live and reign with the Father and the Holy Spirit one God, world without end. Amen.